The Rangeland Analysis Platform (RAP) is a free, online tool that helps landowners and natural resource managers track vegetation through time and plan actions to improve America’s grazing lands. The RAP can be used to provide strategies to improve productivity of grazing lands, manage weeds, mitigate impacts of wildfire and drought, and benefit wildlife habitats. Powered by Google Earth Engine, RAP merges machine learning and cloud-based computing with remote sensing and field data to provide the first-ever annual cover maps of rangeland vegetation. 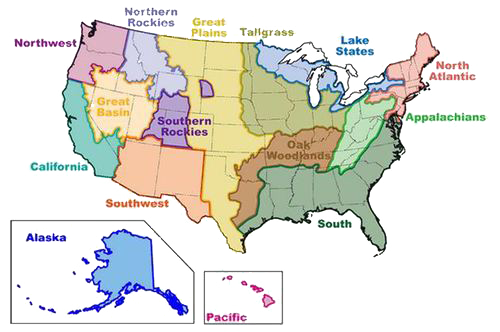 This new platform allows people to view trends in rangeland resources at an unprecedented blend of space (from the Great Plains to the Pacific Ocean), time (1984 to present), and scale (at the ranch, watershed, or county level). Designed to be combined with local knowledge, the RAP helps users better understand vegetation change through time to aid in conservation planning and outcome evaluation. This webinar will describe the innovative breakthrough in mapping vegetation cover and demonstrate RAP applications.